Shayn Cutino is from Northern California, USA. What type of practitioner are you? 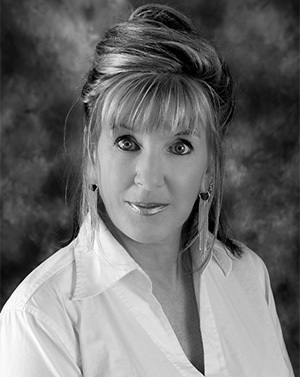 I am a Certified Clinical Hypnotherapist, Board Certified Holistic Practitioner and Intuitive Coach. I have been in private practice since 2004, so 10 years total. Do you see clients from home or in an office? I see clients in a private office which is located behind my home. Most of my clients seek my hypnosis services for either smoking cessation or anxiety/stress. There are many frustrations being a self-employed hypnotherapist and coach. Client continuity, client retention and the basic lack of understanding about what hypnotherapy is can be challenging at best. However, my biggest frustration is staying motivated during the slump times. You have to get up every day and have a goal, even if it is only 20 minutes a day! Most of us get into this business because of a genuine interest in helping people and the magic of the trance state and subconscious mind. We know the power of the mind and how remarkable it is that we can transform someone’s life. It is so natural to help others but we also have to be willing to help ourselves by staying positive, staying focused and believing in what we do! I am very fortunate because I have had the opportunity to co-author as well as author two books. The first book is entitled 101 Great Ways to Improve Your Health and my chapter discusses hypnotherapy and its benefits. My second book is The Anja Technique the art of self love. I wrote the book on self love because I had so many clients admitting to me that self love was lacking from their lives and they truly felt bad about themselves. “The Anja Technique” takes you on a spiritual journey to reawaken the love within yourself. It is a comprehensive and powerful 5 step process that assists in overcoming obstacles of guilt, self doubt, fear, anger and more. In addition to the book I recorded a guided imagery session to help with the removal of blocks and obstacles that have held people back and kept them from a life of self love and acceptance. What is hardest about your daily work? The hardest thing about my daily work is keeping my energy. I have numerous clients that come in and literally “dump” their issues so it is very important that I don’t hold on to that energy. I need to stay clear and focused for each individual. I have a natural empathy so after each client leaves I clear the room as well as myself. And at the end of the day when I leave my office I have to release any negativity or sadness that was presented. Do you find your professional body supportive and helpful? Yes I have a small networking group of professionals that meets once a month and we share our challenges, not only as women, but also as business owners. We offer each other ideas, not only generate more clients, but on how to stay focused on the positive and what we have to offer. How do you balance work and stress? One of things I have found to be helpful is meditation. I run a small meditation group that meets once a week and it has kept me grounded and focused. When I feel doubt creeping in a session of meditation makes all the difference in the world! What frustrates you about mental health in your country? So many people are hurting and the resources are limited, especially for those who don’t have the financial means. The system moves slow and you can get completely lost in it. Since the recession here in the United States the number of people needing mental health services has sky rocketed. But the most frustrating part for me is how easily medication is dispensed. I am opposed to most of these medications being a Holistic Health Practitioner because I believe they numb the mind and mask the true issues. Anyone of us can be diagnosed as depressed with the state of the world we are in right now. How about providing some tools to cope such as meditation in lieu of drugs? The system is completely broken in my opinion. Can you describe a recent uplifting experience treating a client? The most recent uplifting experience with a client was assisting someone to overcome anxiety. This was a gentleman who worked from home and he suffered from anxiety for years and years. He had been on numerous medications and had even been hospitalized to no avail. He shared with me that his anxiety had gotten so bad that he was housebound. In fact it was a challenge for him to leave his home and come to my office. When he arrived he was nervous and sweaty and you could tell he was extremely uncomfortable. I explained about hypnotherapy and how it could transform his life and he was open and willing because I was literally his last chance at some sort of normalcy. We did three sessions and his progress was so amazing that he asked for two more sessions, which we did. By the end of the 5 sessions he was a transformed man. His anxiety was virtually gone and all of the symptoms completely vanished. I ran into him a month later at a local restaurant and he stopped and said was so grateful to have his life back. He said it was all thanks to me, where I had to correct him. He did it himself, I was merely the tour guide of his mind to allow himself to make the changes he wanted to make. I love what I do and I love my clients because most of them tell me I am their last resort and I know they found me for a reason. In addition to meditation I take private pilates classes, try to spend time in nature and I keep a grateful journal daily. I surround myself with like-minded individuals and keep my environment peaceful. Pictured above: Shayn’s therapy room. You can read more about Shayn’s work here.